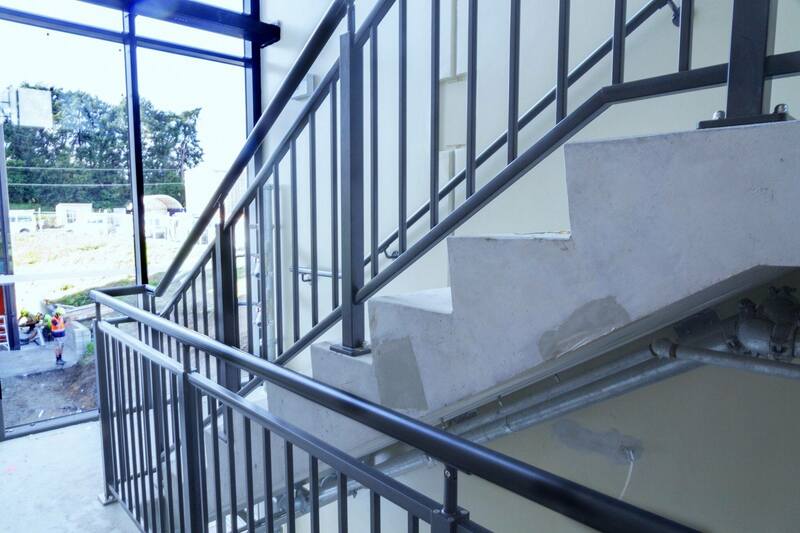 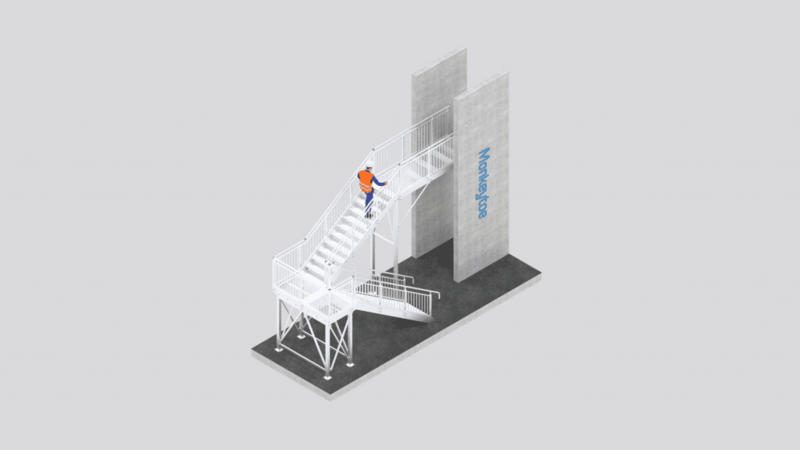 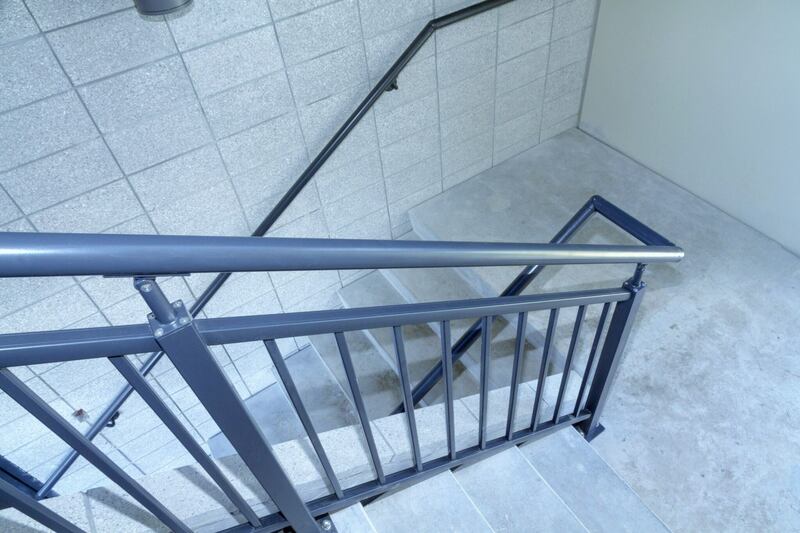 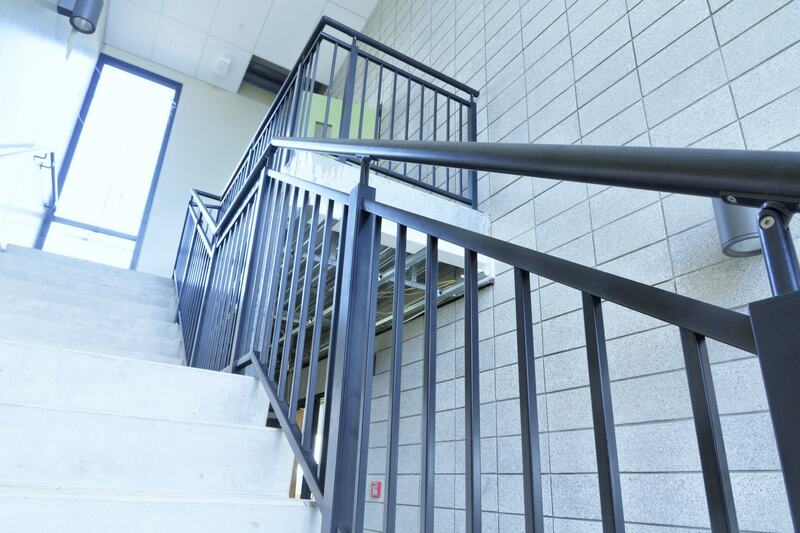 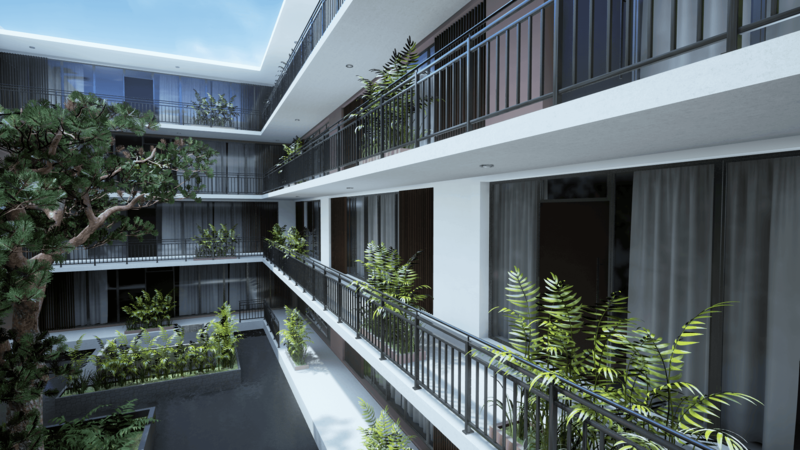 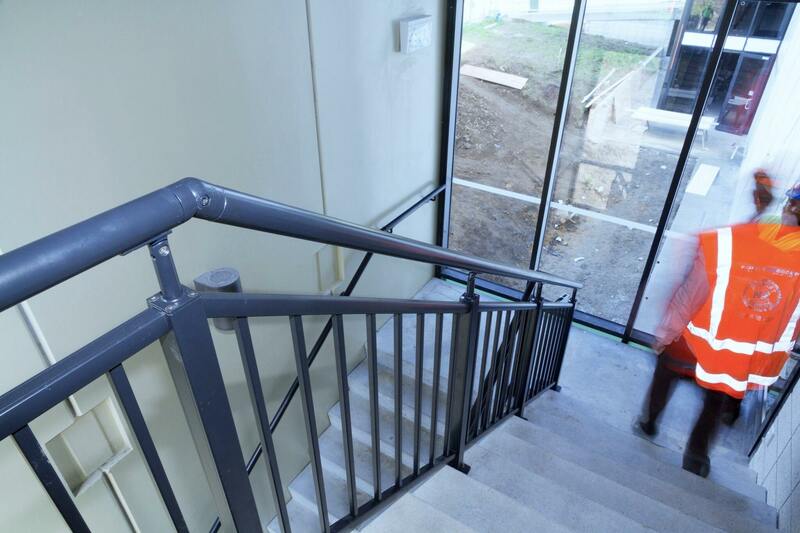 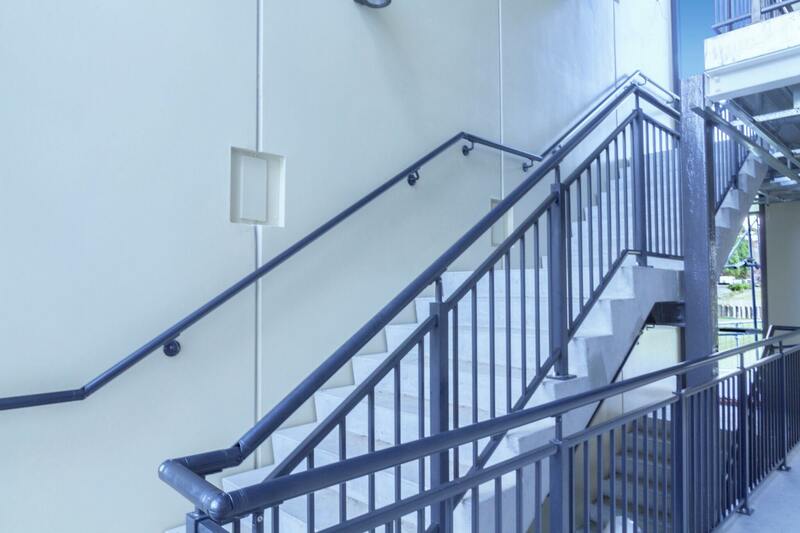 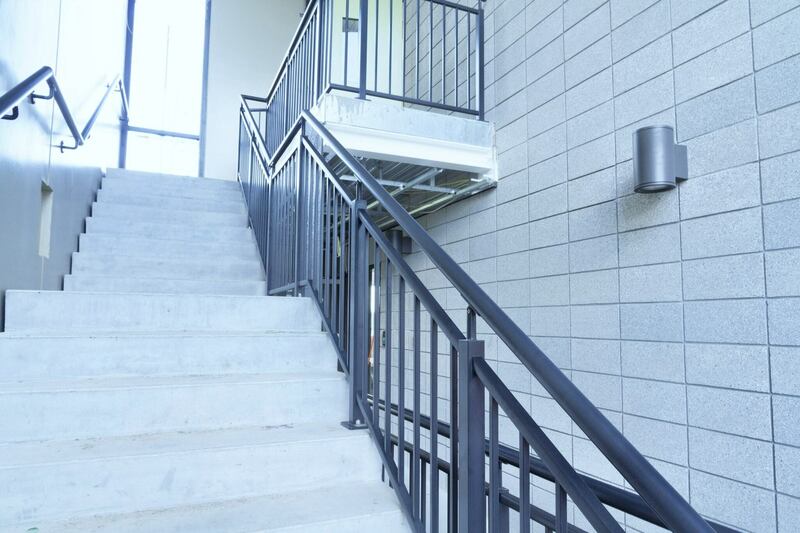 Our lightweight and compliant balustrades are suitable for any fire egress or back-of-house stairwells including multi-story buildings. 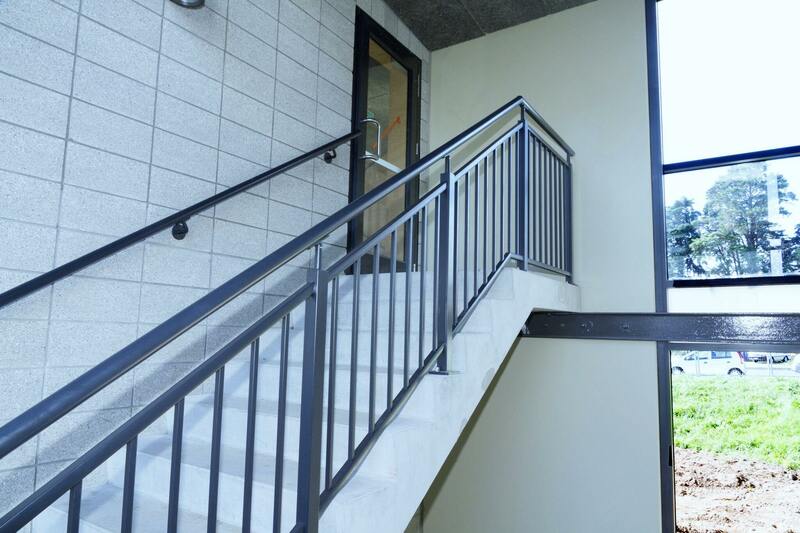 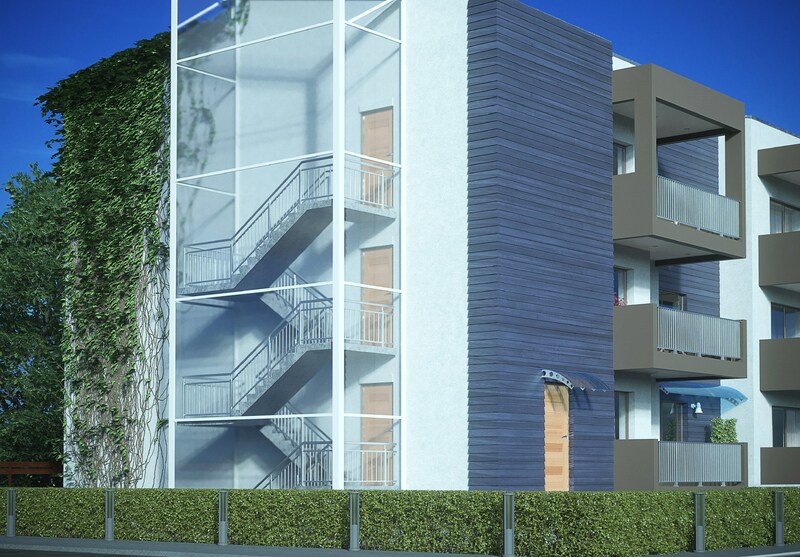 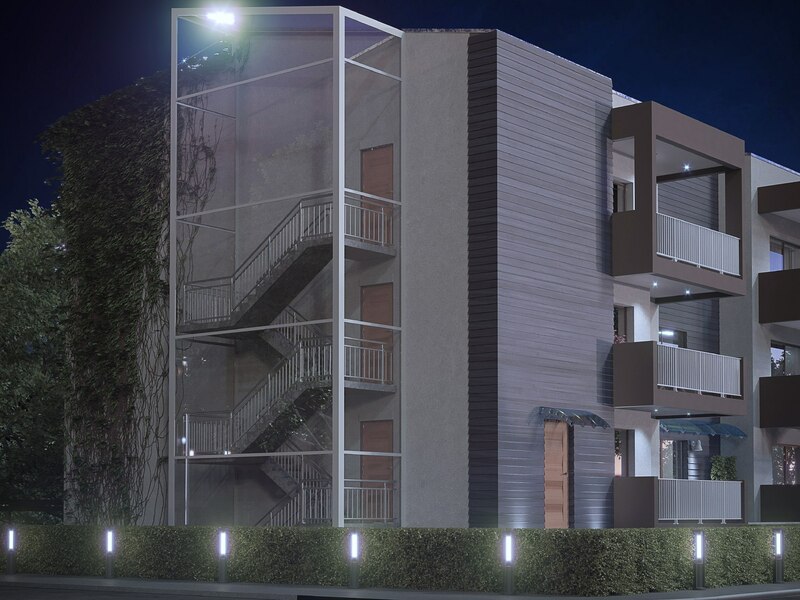 Monkeytoe premium aluminium balustrades are a prefabricated, modular, no-weld system for fast assembly and installation. 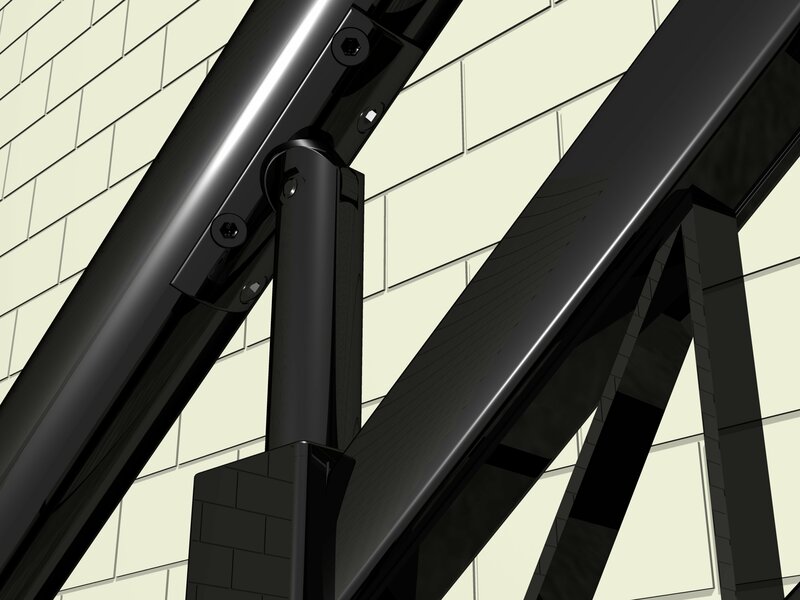 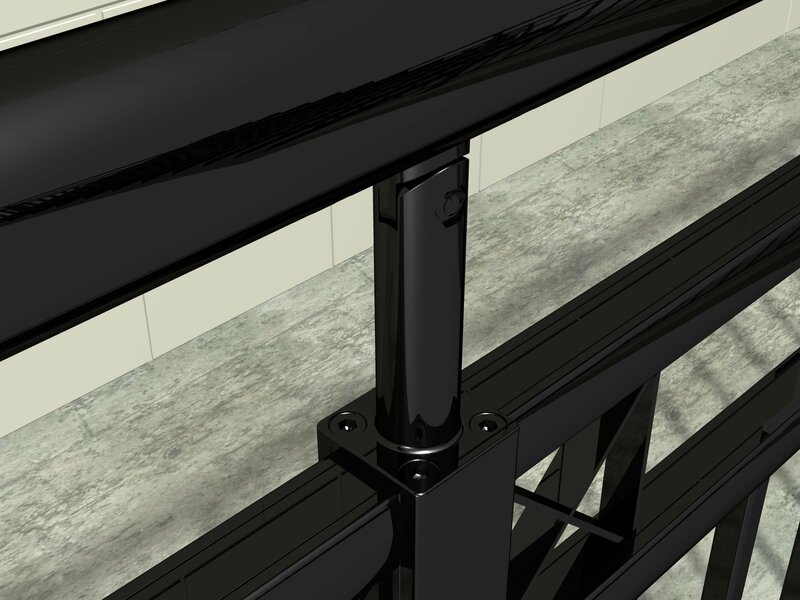 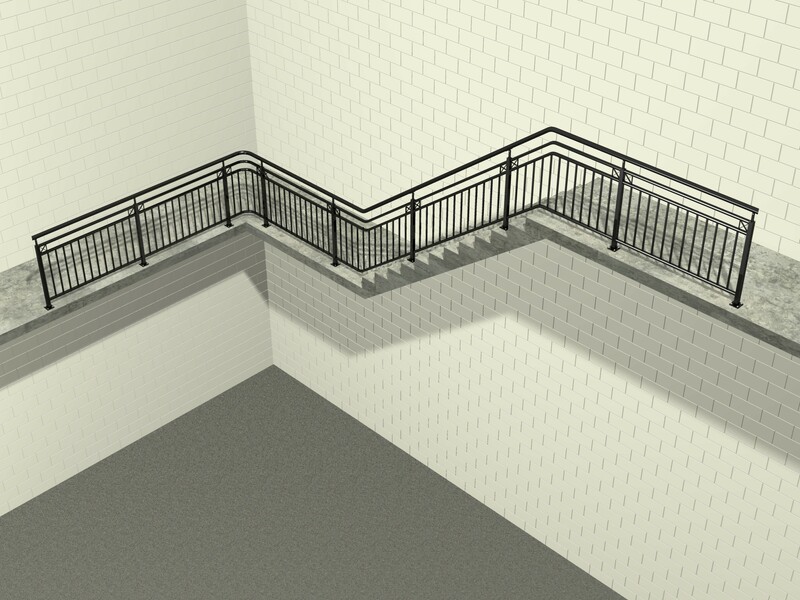 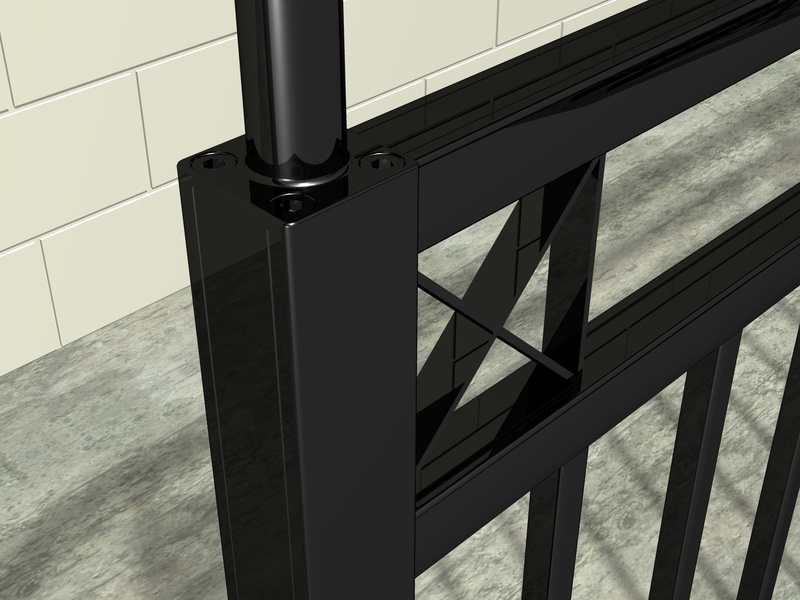 The adjustable top-rail can be set on site to suit the angle of the stairs. 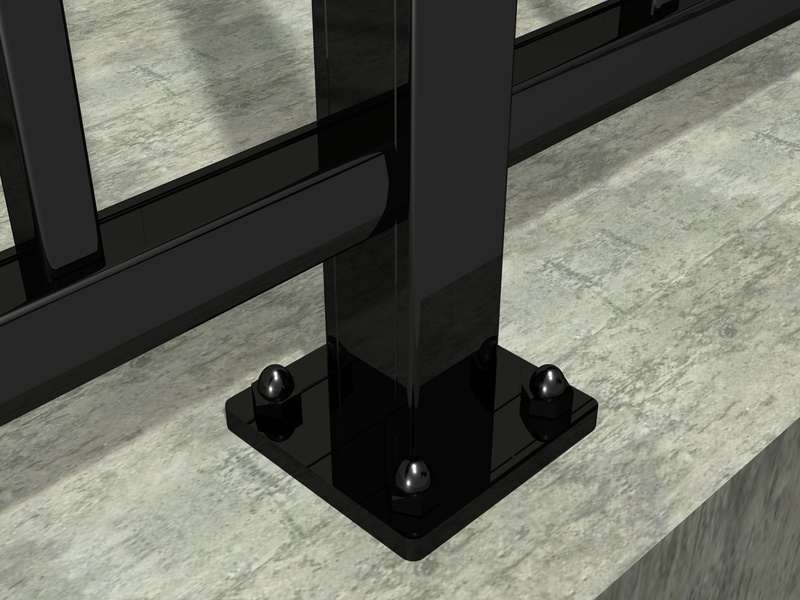 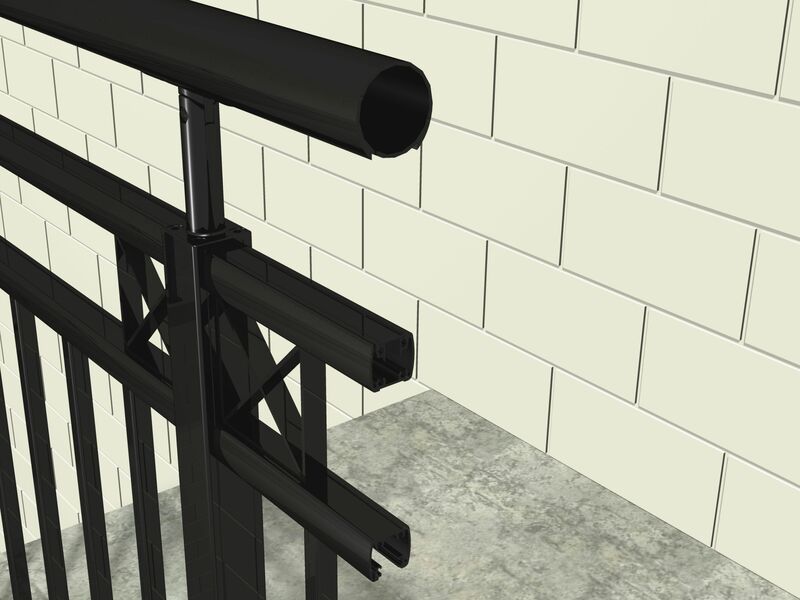 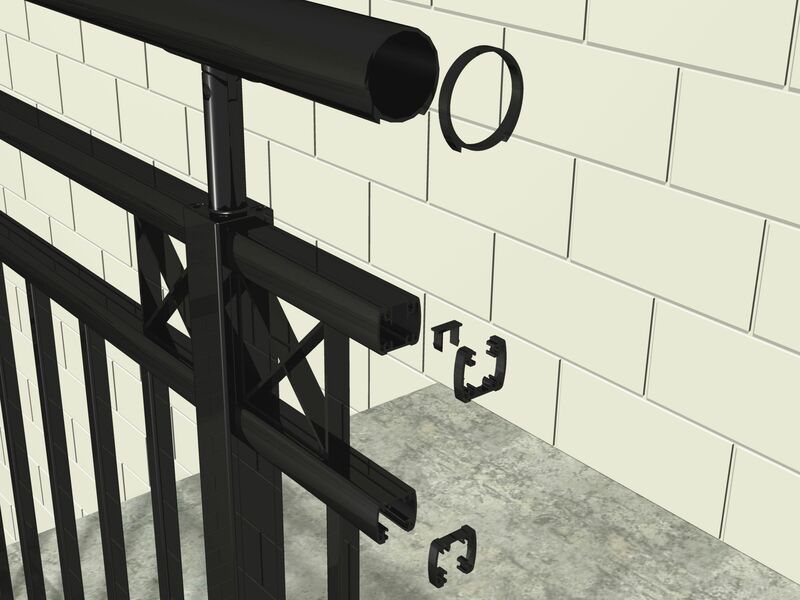 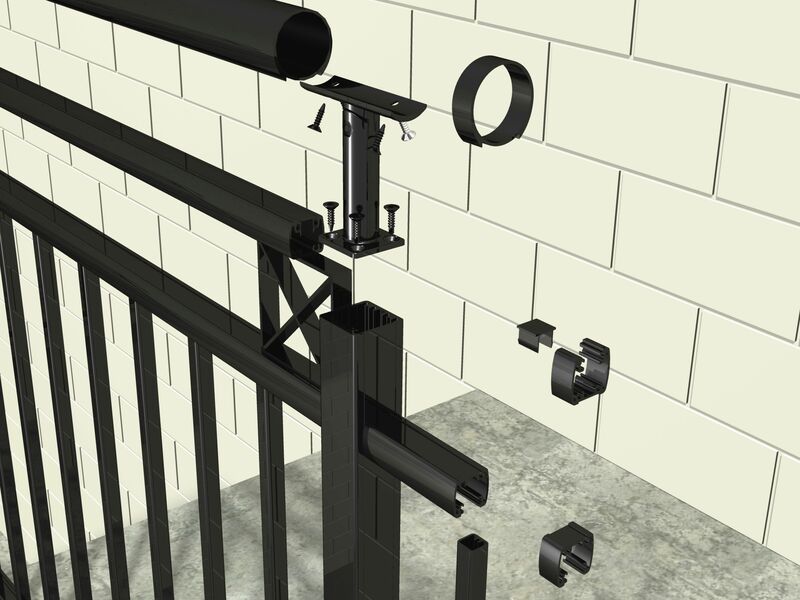 Manufactured from marine-grade high tensile aluminium and stainless steel fixings, the system is designed and tested to 60kg horizontal loading. 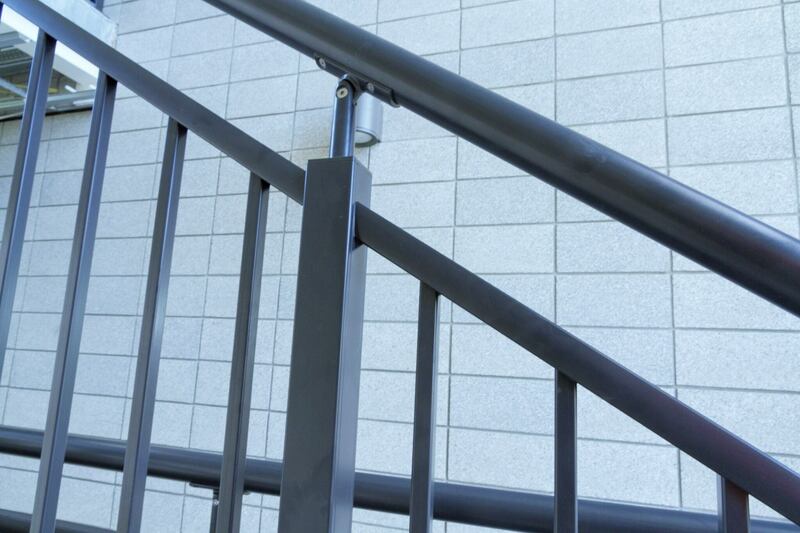 It comes in a variety of configurations for a range of applications and can be powder coated in standard Dulux colours or to specifier’s requirements. 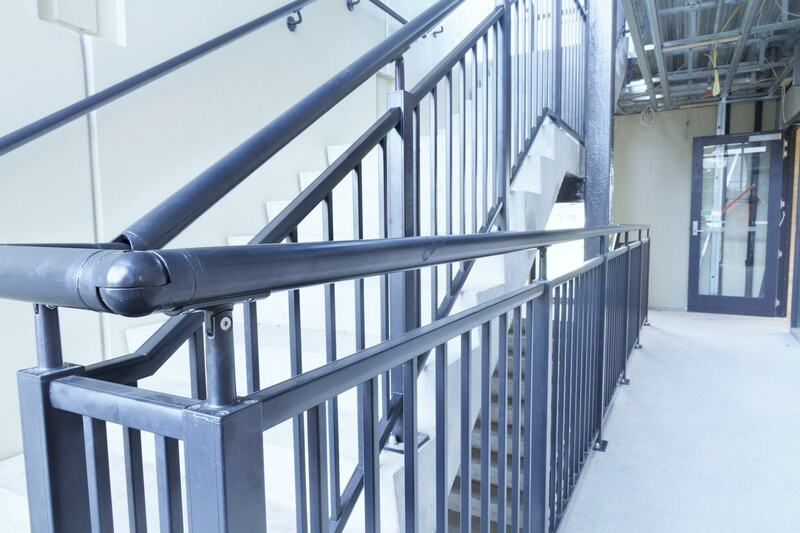 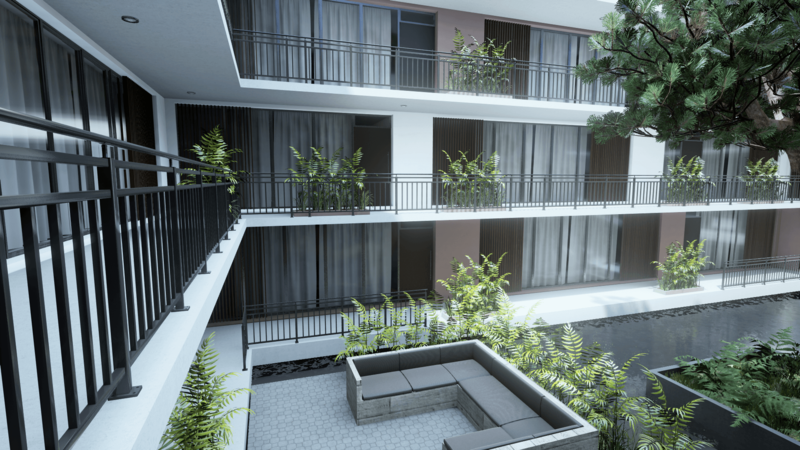 Contemporary Balustrade Attractive, lightweight and fully compliant contemporary balustrade, suitable for any fire egress or back of house stairwells including multi-story buildings. 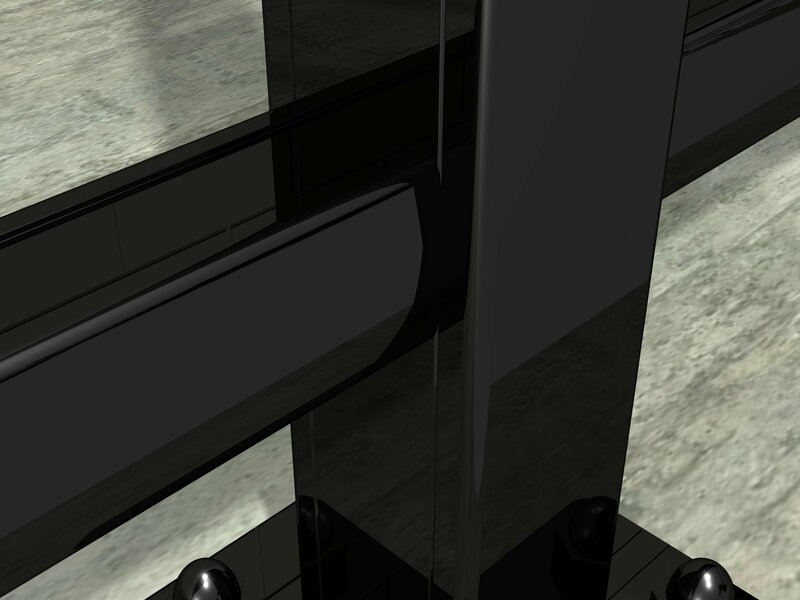 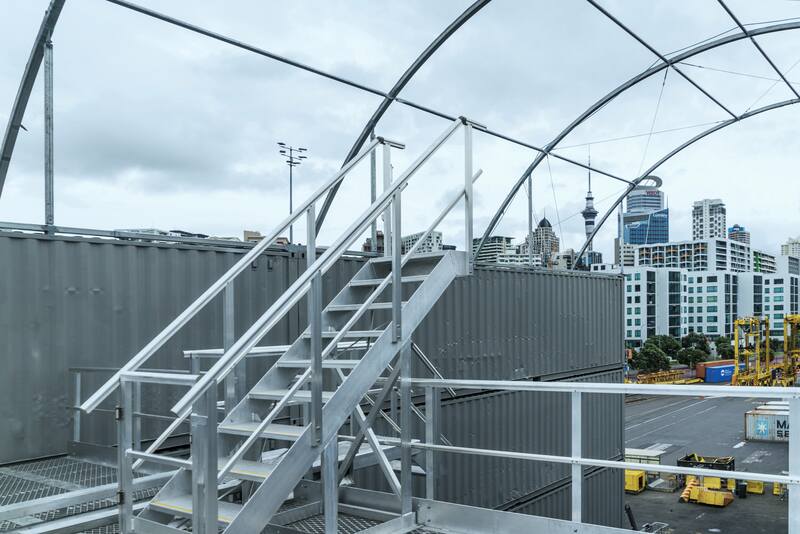 This system is designed in accordance with NZS/AS1675-1992, F4 Safety From Falling and D1 Accessible Routes.